This course unit offered by the department of physics to both physical science students as well as biological science students. This is also an optional course available for students who are not offering Physics as a subject in the applied science faculty. This course covers the fundamental aspects of Relativity such that Einstein’s Special theory of Relativity and Introduction to Special theory of Relativity in Western and Eastern Philosophies. *** Also this course is an Optional Course available for students who are not offering Physics as a subject. Newton to Einstein – Ralph Baierlein. On the shoulders of the Giants – Stephen Hawkins. The Brief Introduction of Time – Stephen Hawkins. Relativity for the Layman – James A. Coleman. Understanding special theory of Relativity – Y. R. Waghmare. Testing the Theory of Relativity – Brian Jones & Gerald Laban. Elements of Special Relativity – S. P. Singh & M. R. Badge. What the Buddha Thought – Rev. 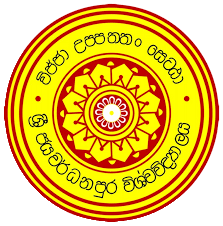 Walpola Rahula. Special Relativity – A. P. Fench. Special theory of Relativity – B. L. Warsnop. Special theory of Relativity – David Bohm. An Introduction to the special theory of Relativity – Robert Kats. Introduction to the special theory of Relativity – James Smith.